As of July 2013, the Zygote 3D Anatomy Atlas & Dissection Lab is available as an app on the iTunes App Store. This is the first product outcome from the collaboration between the LINDSAY Team and our partners at Zygote Media Group Inc. Check out the product showcase page with video tutorials on Zygote’s website . 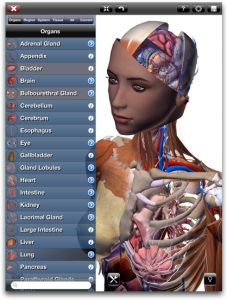 There is also an overview video of the Zygote 3D Anatomy Atlas & Dissection Lab on YouTube.